Saving you money on heating costs, whilst making your home a more comfortable place to be. 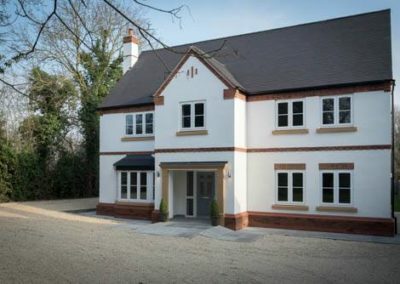 Energy efficiency is becoming increasingly more important in this world of rising fuel costs so it is important that you make the right decision when it comes to energy rated windows. To enable customers to make the best choice the British Fenestration Rating Council (BRFC) have introduced a rating scheme where A is the most energy efficient and G is the least, similar to the ratings seen on white goods like washing machines. 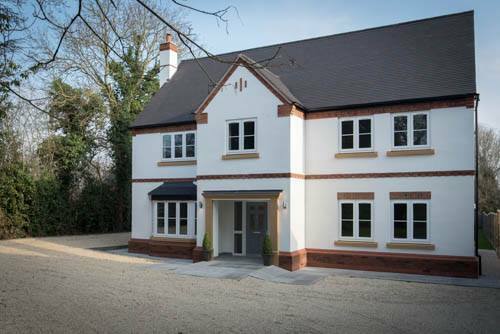 Windseal manufacture the following energy rated windows. 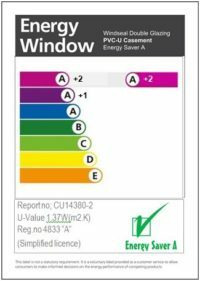 A+2 rating – The highest industry rating available, and therefore the most energy efficient window available. C rating – The minimum rating now acceptable for replacement windows since the changes in Document L (updated October 2010), ideal for rental properties and DIY projects. Tests and audits are carried out to prove the rating of a particular window, and a certificate (as shown) is then issued in the company’s name as proof of the energy efficiency of the window. Audits are carried out every year to ensure that the standard of the window is maintained. When we purchase fridges and washing machines, and light bulbs we now accept that an A Rated product is the most efficient, and although may cost us a little bit more, will save us money in the longer term. . This is now also true of double glazing, however there are still relatively few companies who manufacture these A Rated Windows. How can you tell who is selling a genuine Energy Rated Window? All companies permitted to sell Energy Rated Windows are listed on the www.bfrc.org website including ourselves. Many salesmen may be jumping on the bandwagon and claiming to sell Energy Rated windows. Always check that any company claiming to provide Energy Rated windows is listed on this website, as it is an offence to make false claims under the Trade Descriptions Act and anyone doing so should be reported to the BFRC and Trading Standards. Beware of cheap imitations , look for the official Energy Rating Label. When you purchase Energy Rated Windows, the window should be clearly marked as such. We will also supply you with a certificate confirming that you have purchased Energy Rated Windows for you to keep and put in your HIPS report should you decide to sell your property. Warning: This certificate is the only way you can be sure of the energy rating of the window you are buying. DO NOT buy windows from any company that cannot produce a valid certificate with their own name on. Doing so would mean that you will have no proof whatsoever of the rating of your windows. With regards to my recent double glazing installation I would like to thank Liam and his team for a job well done.From start to finish I was totally impressed with regards to the service and product provided. The timescale from order to fitting was exceptional. I opted for the Energy Saver A rated windows and am completely satisfied with both the look and improved warmth within my property. My certification for this and my guarantee confirmation, both arrived within a week of installation. I would recommend Windseal Double Glazing, as my whole experience with this company was excellent. Good value for money, outstanding products and a friendly and knowledgeable team – what more could anyone ask for!